Have your students try these fun little games to help with reading comprehension. All are free on a web browser. Also check out “Reading comprehension games for ages 7 and up” published earlier on specialedtech.net, especially Trapped! : Deduction which is a humorous and fun. Put comic strip panels about Garfield the cat in the right order, then answer questions about the content. Check it out here. 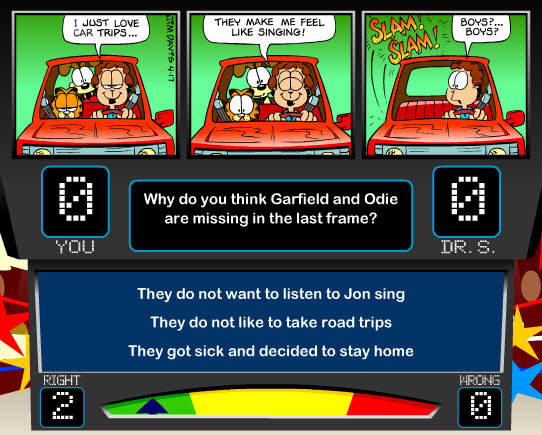 The Professor Garfield site also offers many other reading games, activities and stories. 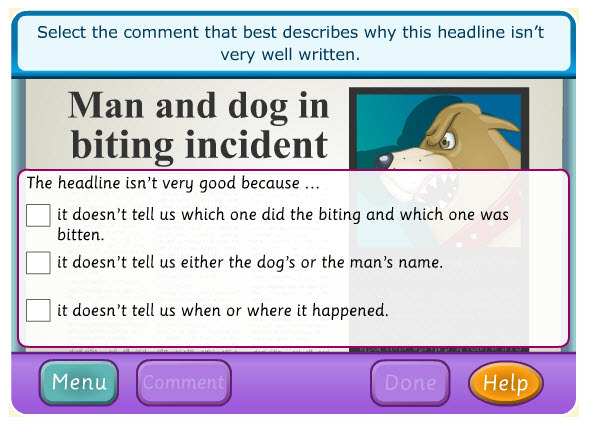 FunEnglishGames.com offers several activities which require students to think about what they have read and make judgments. Tagged apps, games for learning, reading. Bookmark the permalink.